It has more uses and fewer safeguards. India’s Unique Identification project is the world’s largest biometrics-based identity programme. Initially, the project had a limited aim – to stop theft and pilferage from India’s social welfare programmes by correctly identifying the beneficiaries using their biometrics. But now, the use of Aadhaar is expanding into newer areas, including business applications. As the uses of Aadhaar proliferate, what are the rewards and risks? 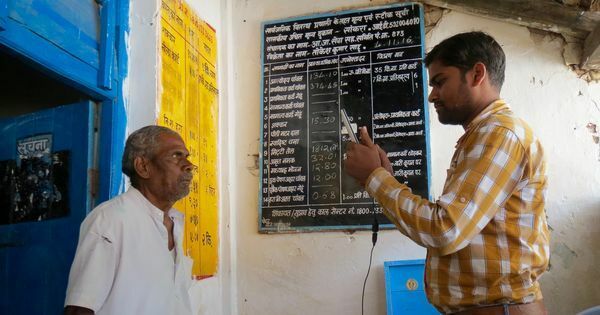 Over the next week, a special series on Scroll.in will take a closer look at the many dimensions of Aadhaar, from its use for social welfare, to its expansion in the private sector, to concerns over privacy and data violations. First, a quick comparison with the Social Security Number of the United States. The nine-digit number, which is used widely by government agencies in the US, is seemingly as ubiquitous as Aadhaar. It is often used as an example of an advance economy successfully doing something similar to India’s unique identity project. But there are important differences between the two, starting with the fact that the Social Security Number is, well, not an identity number. Aadhaar authenticates a person by matching his or her demographics or biometrics with the records in its database. The government says this will help prevent identity fraud – for example, no one will be able to collect wages or food subsidies in another person’s name. The Social Security Number was never intended for authentication purposes and has not been built to do this on a national scale. It matches a name and associated Social Security Number against its records only in limited circumstances, such as before issuing a replacement Social Security Number, or establishing a claims record. The elderly and the poor is India have hardened, wrinkled hands. Aadhaar links databases. The Social Security Number does not. One of the key concerns around Aadhaar is that the government has “seeded”, or introduced the number in multiple databases, which makes it easier for government agencies to converge personal information of individuals across databases. Millions of Aadhaar numbers have been linked to the bank records, ration lists, educational records, and telecom documents of individuals. New analytical data techniques mean this “big data” could reveal much more about a person than standalone data could in the past. The PRS Legislative Research has pointed out the Aadhaar Act of 2016 does not specifically prohibit law enforcement and intelligence agencies from using the Aadhaar number to search various datasets. This could lead to inappropriate profiling and innocent individuals identified incorrectly as potential threats by law agencies could face harassment. There is no seeding done using the Social Security Number. Federal agencies and private entities that collect the Social Security Number for a specific service store the number at the organisational level. The US government has cautioned against the use of the Social Security Number as a single, unique identifier. For instance, the Department of Homeland Security in 2007 directed its officials: “Department of Homeland Security programs shall not collect or use an SSN as a unique identifier; rather, programs shall create their own unique identifiers to identify or link information concerning an individual.” The Department of Defence removed SSNs from military identity cards by 2011, and instead issued departmental-level IDs. The emphasis is on using different identifiers for specific purposes, to reduce the risks associated with a single identifier. Aadhaar does not have privacy safeguards quite in the same way as the Social Security Number. In response to growing concerns over the accumulation of massive amounts of personal information, the US government passed the Privacy Act of 1974. The law was passed in recognition of the dangers of the widespread use of Social Security Numbers as universal identifiers. Subsequently, the Computer Matching and Privacy Protection Act of 1988 tightened regulation, by providing for the establishment of Data Integrity Boards at each agency. India does not have a privacy law either at the national or state level. As per section 8 of the Aadhaar Act, requesting agencies are required to obtain the consent of individuals before collecting their identity information and inform them of what information will be shared. But as per section 47, a person whose information is collected and shared without their consent cannot invoke the criminal penalty. The Act says such a complaint can only be made by Unique Identification Authority. Further, when the Unique Identification Authority of India authenticates the identity of individuals against the Aadhaar database, it generates millions of authentication logs every day, containing the request received, the response, and the metadata related to the transaction. The Authority retains the authentication data for six months, and archives it for five years. It also requires the requesting entities – both public agencies and private companies – to maintain the logs, including the Aadhaar number, for two years, and then archive it for five years, and even longer in case of a court order. Experts caution against the retention of data for such long periods. Data breaches could potentially violate people’s privacy. In 2014, European Union’s highest court ruled that data retention is illegal. Aadhaar is designed to be used by private companies. The Social Security number was not, but its use by the private sector has led to identity theft. Identity theft affects over 90 lakh Americans every year. A major government report on privacy in 1973 said that legislation should be adopted prohibiting use of the Social Security Number “for promotional or commercial purposes”. In most states, legally, an individual is required to provide their Social Security Number to a business only if the transaction requires so under Internal Revenue Service or federal Customer Identification Program rules. A few states such as Colorado, Arizona and California have passed laws that restrict the disclosure and use of the Social Security Number by private actors. In contrast, Aadhaar has been designed for use by both public and private entities. Billionaire software entrepreneur Nandan Nilekani, who is the founder chairperson of Unique Identification Authority of India, while explaining the differences between Aadhaar and the Social Security Number, said Aadhaar had been designed “as an open platform on which you can build applications”. In a foreword to a Credit-Suisse report, he noted that the use of Aadhaar by the financial sector could open up a $600 billion business opportunity. The Unique Identification Authority of India has already entered into agreements with a number of companies providing authentication and identification services using Aadhaar as a platform. Aadhaar functioned without a legal framework till recently. The Social Security Number was created through a law. Since its inception, the Social Security Number has been governed by the Social Security Act of 1935. In contrast, the Aadhaar project functioned without a legal framework for seven years since it was launched by the United Progressive Alliance government in 2009. It was run under an executive order, which meant Parliament had no oversight over it. An Aadhaar Bill was introduced in 2010 but it was rejected by a parliamentary committee over legislative, security, and privacy concerns. In March 2016, the National Democratic Alliance government passed the Aadhaar Act as a Money Bill, bypassing the Rajya Sabha – a move that was widely criticised. The use of Aadhaar is expanding. The use of the Social Security Number is getting restricted. The Privacy Act of 1974 makes it unlawful for a governmental agency in the US to deny a right, benefit, or privilege merely because the individual refuses to disclose his Social Security Number, except when disclosure is required by federal statute. Given privacy concerns over the use of Social Security Numbers, governments have passed several laws and orders since 1996 to restrict and limit its use and collection. The Social Security Administration website says state entities have begun to delete Social Security Numbers on electronic public records. An executive order of 1943 that required federal agencies to use the Social Security Number when establishing a system of permanent account numbers was rescinded by an Executive Order, which made such use optional in 2008. Several US states have also passed laws. New York and West Virginia have statutes that limit the use of the Social Security Number as a student identity number. Kentucky allows students to opt out of the use of Social Security Numbers. Arizona law requires companies to give a right to users to opt out. California prohibits businesses from printing Social Security Numbers on bills, and companies must notify individuals in case of data breaches. The Intelligence Reform and Terrorism Prevention Act of 2004 prevented the printing of Social Security Numbers on driver licenses and other government- issued identity cards. A 2015 law prohibited the inclusion of Social Security Numbers on Medicare cards, though this has not yet been achieved. In contrast, since the first Aadhaar number was issued in 2010, the government in India has tried to link maximum schemes and benefits to Aadhaar, pausing briefly when the Supreme Court issued orders restricting the government from making Aadhaar compulsory. The Supreme Court passed at least six orders since 2013 saying the government cannot require people to register for an Aadhaar number and no one can be deprived of a government service for not having an Aadhaar number. But under section 7 of the Aadhaar Act, the government can ask a resident to produce Aadhaar for any “benefit, subsidy or service”, which has made the ambit of the project very wide. Now even private companies have incorporated the Aadhaar number in their systems. The current trajectories of two ubiquitous numbers – Aadhaar and the Social Security Number – appear to be in opposite directions.